Weight: These are thicker/heavier weight than a typical flannel and can be worn as a light jacket- perfect for chilly evenings. 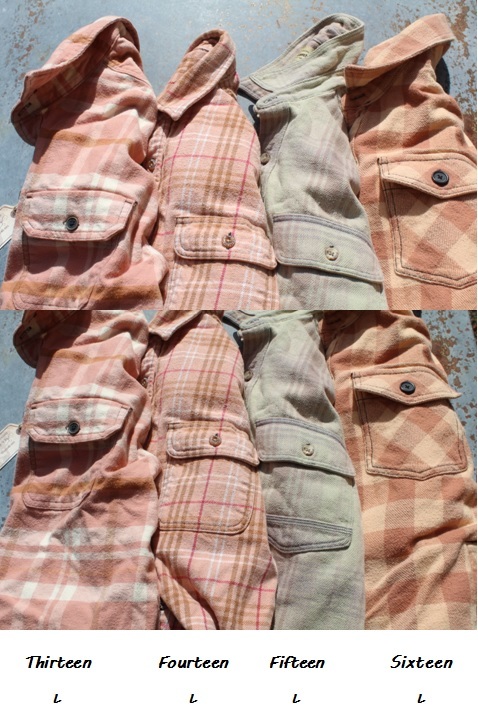 Exchanges and Returns: Due to the nature of these one-of-a-kind, hand-distressed items, we’re unable to accept returns or exchanges. If you’re concerned about sizing, order one size-up for a larger/looser fit.